Let me take you back to a moment in the not-so-distant past, a proudly and obnoxiously loud era in pop music history known as the early 2010s. It was a sleek and garish time. Electronic producers like Skrillex and Calvin Harris were popping off to an omnipresent extent, turning tectonic dubstep drops and bottle-service untz-untz EDM into cultural talking points. That music’s ethos was informing a new generation of pop stars, with the likes of Kesha, Katy Perry, and Lady Gaga competing to see who could be more in-your-face. Nicki Minaj, another cartoonishly brash character, was crossing over from the rap world. She’d made a big splash on Kanye West’s maximalist opus My Beautiful Dark Twisted Fantasy, an album he and Jay-Z quickly followed with the even more opulent Watch The Throne. The hottest producer in hip-hop was Lex Luger, a young Virginian crafting gothic symphonies that hit like a parking garage collapse. Popular music as a whole was larger, and louder, than life — and in the case of acts like Pitbull and LMFAO, more ridiculous too. Actually, let BLACKPINK take you back to that moment. All you have to do is press play on the video for “Kill This Love,” the title track from the K-pop girl group’s new EP, and bask in the glorious excess. 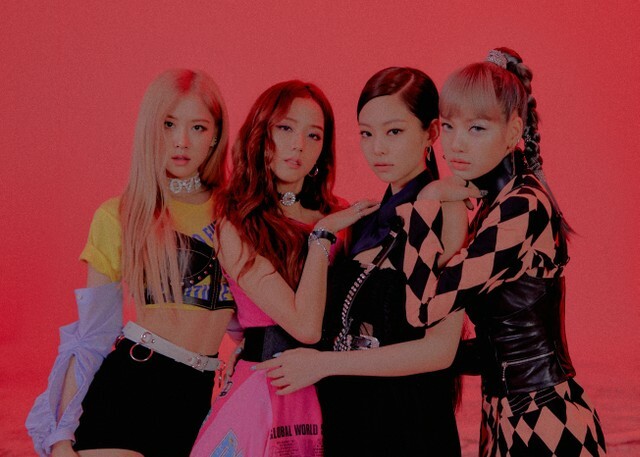 Like most BLACKPINK songs, “Kill This Love” is sung in a mixture of English and Korean that mirrors the group’s fluid approach to genre and its multinational roots. (As explained in a recent Billboard cover story, “Sweet-voiced Jisoo, 24, is a South Korean native; buoyant rapper Lisa, 21, is from Thailand; guitar-playing Rosé, 22, grew up in Australia; and Jennie, 23, was born in South Korea but spent some formative years in New Zealand.”) This latest track is a defiant screed against the kind of romance that keeps pulling you back in despite disappointing returns. “We must kill this love, yeah it’s sad but true!” the group chants in unison at the song’s grand finale. “Gotta kill this love/ Before it kills you too!” Musically, the song seems fully capable of wiping any trace of the relationship from the face of the Earth. It begins with thundering bass, a clattering behemoth of a beat, and digital brass blaring a jagged melody with the jarring force of an airhorn. By the end of the first bridge we’ve heard a swaggering serrated melody worthy of early Kesha, a snarlingly confident rap verse, and a more conventionally pretty hook awash in high drama. Then the gang vocals kick in, the triumphal trap-rave horn section rains down again, and the drops keep on dropping with unabashed fervor — to say nothing of the video’s non-stop onslaught of outsized fashion-plate charisma and Hollywood largesse. If not for the au courant trap hi-hats skittering in the background, you’d wonder if you were hearing some lost girl group from the Electric Daisy Carnival era. Instead you’re left to assume that when BLACKPINK promised last summer to “hit you with that ddu-du ddu-du du,” they meant they’d clobber you with everything all at once. BLACKPINK are a lot. A lot of people are into them, too. Upon its release last Thursday, “Kill This Love” became the latest global phenomenon to rewrite the YouTube record book. The video tallied 56.7 million views in its first 24 hours, surpassing the 55.4 million total set by Ariana Grande’s “thank u, next” video last November. Less than two days later it became the fastest clip to reach 100 million views, surpassing “Gangnam Style” by BLACKPINK’s countryman Psy. On iTunes, “Kill This Love” became the first song by an all-female group to hit #1 since Destiny’s Child’s “Lose My Breath” in 2004. BLACKPINK are also only the second Korean group to top the iTunes chart following BTS, their fellow K-pop superstars, who may well topple BLACKPINK’s YouTube records when the video for their Halsey collab “Boy With Luv” drops tomorrow in tandem with their new EP Map Of The Soul: Persona. BTS, whose bombastic pop/rap/EDM/etc. mixture is in league with BLACKPINK’s over-the-top aesthetic, have been the biggest K-pop success story in the American market so far. After invading domestic TV in late 2017, in 2018 BTS scored two #1 albums and a top 10 single, “Fake Love.” Another hit, “IDOL” with Nicki Minaj, topped out at #11. They closed out their year of American triumphs by selling out New York’s Citi Field, becoming the first K-pop act to fill an American stadium. They’re a huge deal, but they’re no longer the only K-pop act making significant noise in this country. It’s looking like 2019 will be the year BLACKPINK take America by storm. Although much of the audience for “Kill This Love” exists outside the US, the song will almost certainly improve upon the group’s previous Hot 100 peak of #55 with “DDU-DU DDU-DU.” The new EP should easily top the #40 high point for last year’s Square Up EP, too. Their profile seems likely to expand further when they become the first K-pop group to play Coachella this weekend, to be quickly followed by a North American arena tour where the only dates not yet sold out are in the markets where they added a second night. They’re now linked with Interscope in addition to YG Entertainment, the Seoul label that brought us BIGBANG, 2NE1, and Psy. For all four women, joining YG meant enrolling in a kind of full-time pop-star academy that Jennie calls “more strict than school” and that Rosé likens to The X Factor with dorm rooms. For 12 hours a day, seven days a week, the future members of Blackpink — along with, by Jennie’s estimate, 10-20 other aspiring singers who cycled through the project — studied singing, dancing and rapping, taking part in monthly tests designed to identify their strengths and weed out subpar trainees. “Somebody would come in with a piece of paper and stick it on a wall, and it would say who did best, who did worst, who’s going home,” recalls Jennie, whom YG initially steered toward rapping because she spoke fluent English. “You get a score — A, B, C,” Lisa explains. “Lisa would always get A’s for everything,” adds Jennie with a laugh. That intense workload is now translating into major commercial success. It’s easy to see why. Not only have all the members of BLACKPINK been training for pop stardom since early adolescence, their producer and creative director Teddy Park has crafted an immensely appealing cocktail of sounds that bombards you from all directions. Whereas the American pop mainstream has become steeped in trap beats, chilled-out vibes, and the lo-fi haze of SoundCloud rap, in Korea they’re carrying the torch for that maximalist pop of old, even as they hybridize with mad-scientist glee. The resulting aesthetic is the pop music version of fishing with dynamite. Some songs err more toward one particular style. The new EP’s “Don’t Know What To Do” is straight-up euphoric dance-pop; “Really” from Square U is bouncy, ebullient pop-R&B with rap interludes, like one of Minaj’s pop crossovers. They also have a few acoustic ballads that scale things back significantly, like “Stay” and the new “Hope Not,” which don’t really fit within their discography except that they represent further omnivorousness. But BLACKPINK’s biggest hits so far are the ones that careen at you with every weapon in their arsenal, an unstoppable dancing/singing/rapping whirlwind. Not coincidentally, these are the ones best paired with elaborately choreographed and costumed music videos, where BLACKPINK get to show off the full range of their powers. Ultimately BLACKPINK are one of those artifice-as-substance propositions. Their music isn’t all that deep, but their multi-pronged production is such a sensory overload that depth feels beside the point; it’s more about breadth. That said, for those who demand that pop music exist for a purpose beyond pure entertainment, it’s probably encouraging to see a blockbuster girl-group single about putting an end to a toxic relationship. Yes, “Kill This Love” is immediately followed by a track called “Don’t Know What To Do Without You,” but I’m choosing to view that sequencing as complex narrative realism. OK, probably not, but also: I don’t care. Both songs slap. I appreciate them in the same way I appreciate Van Halen’s seminal guitar solo “Eruption” — as an exercise in superhuman performance as artistry, a celebration of skillful execution for its own sake. This is BLACKPINK’s whole deal. They are a tour de force of audiovisual stimulation. They sound as humongous as the pop titans of the early ’10s, and by global standards, they are as huge. Almost everything they’re throwing against the wall is sticking. Now we get to see if it sticks in America as well. Prepare to be hit with that ddu-du ddu-du du. 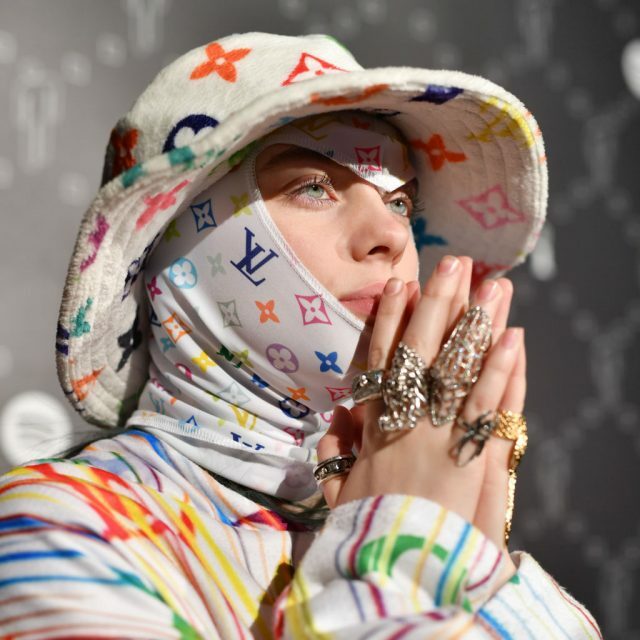 Two teenage genre-busters top the Billboard charts this week, with Billie Eilish’s debut leading the Billboard 200 and Lil Nas X’s viral success story “Old Town Road” shooting to #1 on the Hot 100. Eilish scores her first #1 album and the year’s second biggest debut with WHEN WE ALL FALL ASLEEP, WHERE DO WE GO? Per Billboard, the teen phenom logged 313,000 equivalent album units and 170,000 in pure album sales to enter the Billboard 200 at #1. In 2019, her total is second only to the 360,000 units Ariana Grande’s thank u, next put up in its first week. The 170,000 in sales is also the second-best figure of the year after Backstreet Boys’ 227,000 in first-week sales for DNA. And with 194 million on-demand audio streams, translating to 137,000 streaming equivalent units, Eilish’s album logs the third-best streaming week ever by a woman. Eilish becomes the 11th solo artist to top the Billboard 200 before age 18. The list also includes Shawn Mendes, Justin Bieber, Demi Lovato, Miley Cyrus, Hilary Duff, Britney Spears, LeAnn Rimes, Tiffany, Stevie Wonder, and Ricky Nelson. Across the pond, Eilish also became the youngest female solo artist to score a #1 album in the UK. In much sadder news, Nipsey Hussle’s Victory Lap surges back to #2 following his untimely death last week. It’s a new peak for the album, which previously topped out at #4 upon its release in early 2018. Four of Nipsey’s prior mixtapes have also entered the chart for the first time. After Ariana Grande at #3 comes a #4 debut for George Strait’s Honky Tonk Time Machine via 51,000 units/44,000 sales. Former #1 albums by Juice WRLD, NAV, Post Malone, Lady Gaga and Bradley Cooper, A Boogie Wit Da Hoodie, and Drake round out the top 10. Now for “Old Town Road.” Lil Nas X’s original version of the track climbs 14 places to become his first #1 single. The rapper hit #1 on the day before his 20th birthday, and he did it without assistance from Billy Ray Cyrus, who appears on the song’s also-extremely-popular remix. The remix was released last Friday, the day after this week’s window closed, and will be counted in next week’s tally, at which point Cyrus could have his first #1. 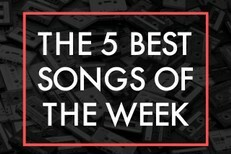 (Despite being everyfuckingwhere in 1992, “Achy Breaky Heart” somehow only peaked at #4.) In case you missed our assorted trivia about “Old Town Road” earlier this week, let’s review. Did you know there are other songs on the Hot 100 this week as well? At #2 is Post Malone and Swae Lee’s “Sunflower,” followed by Ariana Grande’s once-again-dethroned “7 Rings” at #3. (It previously receded from #1 before returning to the top.) Post Malone’s “Wow.” is at #4, Halsey’s “Without Me” is at #5, and Cardi B and Bruno Mars’ “Please Me” is at #6. Billie Eilish scores her first top 10 single with “Bad Guy” entering at #7. She previously peaked with “Bury A Friend” at #14 earlier this year. Eilish also sets a new record for most simultaneous Hot 100 hits by a woman with 14, comprising 12 from her new album plus “Ocean Eyes” and “Lovely.” Cardi B set the previous record of 13 upon the release of her debut Invasion Of Privacy last year. The rest of this week’s top 10: Jonas Brothers’ “Sucker” at #8, Marshmello and Bastille’s “Happier” at #9, and J. Cole’s “Middle Child” at #10. My main familiarity with Avicii was “Wake Me Up,” the song that mashed up EDM and Mumford-folk when those were the two dominant strains in pop music. “SOS,” the first single from his posthumous album Tim, reunites him with “Wake Me Up” singer Aloe Blacc but is more of a straightforward dance-pop song marked by tropical house vibes. It’s pretty, but it mostly just makes me sad. This song struck me as bland and unmemorable inspirational-EDM at first, but the hook really snuck up on me, and the lyrics have me thinking way harder about a P!nk song than I ever thought possible. What are we to make of a line like “Can we pretend that we will fight the president?” In the chorus, no less? “Sittin’ there waitin’ like it’s Games Of Thrones“? SMH, Jonas Brothers. “Imported” originally appeared on Being Human In Public, Reyez’s great EP from last year, which I am still riding for. The first version was a duet with some guy named JRM, who’s been replaced here by R&B star 6LACK (pronounced “black”), who hilariously acknowledges the confusion about his name in the opening verse: “Hi my name is 6LACK and some people call me 6-LACK.” As with the last guy, though, he feels like an afterthought compared to Reyez’s expressive presence on the track. This is a well-intentioned song that makes me very sad (1) about the fate of our planet and (2) about Ellie Goulding not making bangers like she used to.